So you’ve the done the rounds and investigated all the areas around your home and have come across some drafts around your windows and doors. Now what? It’s time to talk-caulk. 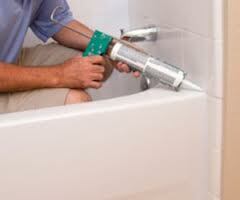 Caulking is a wonderful product with a multitude of purposes around the home. Caulk can be used to fill gaps in almost any material. Caulk gives a nice finished look to your bathroom tub and kitchen sink, to toping of baseboard to trim or finishing imperfections in crown moulding. And the list goes on. Don t’ get overwhelmed by the many different types of caulk at your local home improvement store. Below is a list of caulk available and tips for which caulk you should use for improvements around your home. One-component sealants are commonly sold in cartridges which are loaded into a pistol-like caulking gun (opening at the side) or barrel gun (opening at the end) for application. During the tool-working time, which varies by chemistry, the bead can be pressed into the joint so that it can bond with the materials on both sides, and also be smoothed. The time it takes for a chemical sealant to become a rubber is known as the curing time and varies by temperature and humidity. Issues of technique that may not be obvious to first-time users. 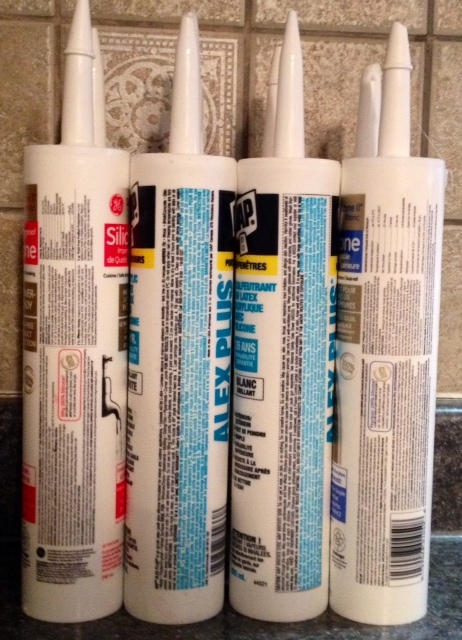 Deciding Which Caulk To Use? Before you purchase caulk, consider these few key factors that will play an important role in helping you decide the right “caulk” for the job. – Interior or Exterior?- Note: Some caulk are specifically designed for indoor or out-door use only. Depending on your project, you may want to look into purchasing an indoor or out-door caulk. – How Hard Is It To Apply? Running out of caulk while you’re working on your project is not a good thing. There are some caulk that are much easier to apply than others. Keep in mind your level of caulk expertise and come back with that 3rd tube of caulk that is now hard to apply. – Temperature Something To Consider: Consider the temperature in the place where you are going to put the caulk. Some types of caulk can withstand extreme temperatures while others can’t. This can severely affect performance. -Moisture: Be aware that some caulk are uniquely designed to be installed in high moisture areas e.g. : bathrooms. Using the wrong caulk could impact its adhesion, durability and performance. This type of caulk is the best for almost any application, but it can be difficult to use and requires mineral spirits to clean up. It can be painted. This type of caulk is an excellent choice for most porous surfaces because of its flexibility and adhesion properties, its ease of use and water clean up. Although it tends to be less expensive, latex caulk will harden when exposed to the elements so its durability is questionable and it’s not the best choice for exterior surfaces. The most popular caulk and easiest to use, this is a good choice for most applications. Known for excellent adhesion, the ability to stretch and recover and for mildew resistance. Butyl Caulk There are numerous problems with butyl caulk. They’re difficult to use, dry slowly, require solvent clean up and have a tendency to shrink excessively and harden and crack quite prematurely. Within each category of caulk, look for one with a 50 year warranty. It’s worthwhile to pay a little more for a better grade of caulk. Once you’ve chosen the right caulk, make sure that the surface you’re applying it to is clean. If the old caulk has failed, scrape it out and wipe the area with a damp cloth to remove dirt or residue. Make sure the surface is clean and dry so that the new caulk will adhere properly. Weather conditions are important as a water-based sealant can’t be used when it’s wet outside and if it’s too cold, a water-based caulk won’t cure. Read the label. Check required drying time. Some caulk can be painted with a water-based paint within four hours, but you must wait twenty-four hours to use an oil-based product, including a primer. Read the label. Sometimes the caulk will shrink, making a second application necessary. Read the label to determine how long you must wait to re-caulk. Prepare the tube for use by cutting the tip at a 45° angle. If you’re using a water-based product, have a bucket of water and a cloth at hand. Apply the caulk in a continuous and even bead with no gaps. For the best appearance, lightly wet your index finger and smooth the bead. Choosing the right caulk may not be an exciting topic, but it’s one that’s well worth knowing something about.